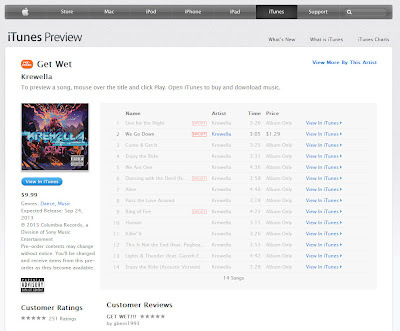 With their first full length album set to drop on the 24th of this month, iTunes has a preview of Krewella's "Get Wet" album live on their site... Unfortunately you only get 90 second previews of each track, so the full flavor is a bit lost... But it's better than nothin'.